Kenneth Nkosana Makate has been fighting for compensation for the 'Please Call Me' idea for over 15 years. 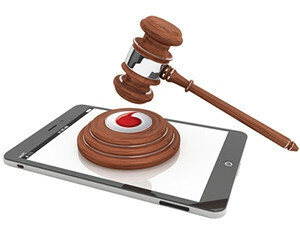 The Constitutional Court has ruled in favour of former Vodacom employee, Kenneth Nkosana Makate, in the long drawn-out 'Please Call Me' court case. South Africa's highest court ordered Vodacom and Makate to start negotiations to determine a reasonable compensation for the 'Please Call Me' idea. Makate originally took Vodacom to court in 2008 in an attempt to get compensation for the 'Please Call Me' service, which he claims he invented in 2000 while working for Vodacom as a junior accountant. He said the concept arose when he was not sure whether a then-girlfriend was out of airtime, or avoiding him. The Constitutional Court was hearing Makate's appeal against a High Court judgment which dismissed his previous case. This was the last legal stop for Makate after his 15-year journey for justice. Vodacom spokesperson Byron Kennedy told ITWeb: "We are aware of the Constitutional Court ruling and are currently studying its contents."